“Economists say that the great recession, the longest and deepest since World War II, ended months ago and the US economy is growing again. Growth is relative. That doesn’t mean sit and wait for things to improve. Rather retool for the economythat exists today.” ~ Rosalind Resnick, Entrepreneur Magazine. As you review your company’s strategic plan and forecast for 2012, what can you do to ensure that your company will meet those objectives? 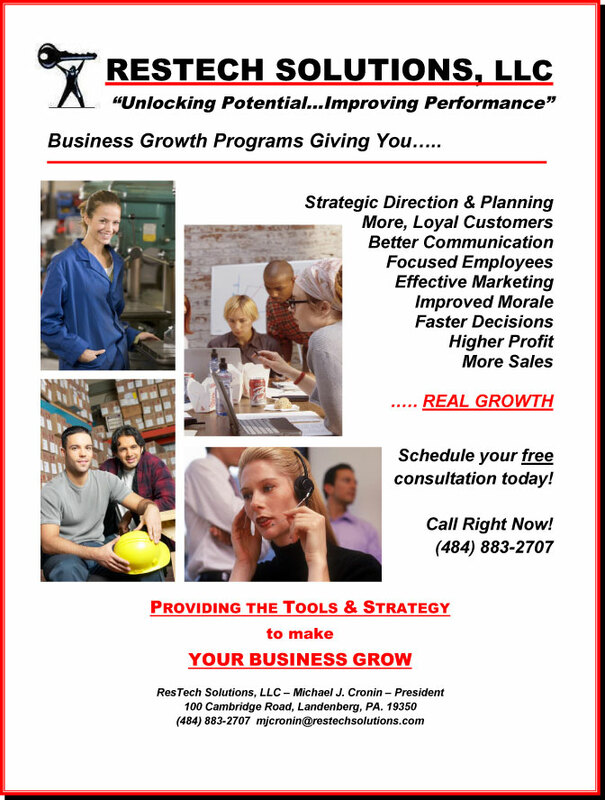 Ms. Resnick’s comment is absolutely on target, you can sit around and react to your environment, or you can retool your business objectives and take a proactive approach to succeed for 2012. First and foremost, revisit your strategic plan. It is appropriate to focus on the 3-5 year horizon because you need to identify what you want to grow into. However, it is critical to focus on what your business needs to accomplish in the next 12 months. What are the critical success factors that your business needs to focus on in order to accomplish your forecast? Do your employees know what the 12-month plan looks like and do they know what they need to contribute in order for the plan to be successful? If you cannot answer ‘yes’ to any of these three questions, you are not ready for 2012. Second, identify what is really working and set a plan in motion to maximize it. Capitalize on your strengths. What product or service is your top seller, and how do you get customers to buy more of it? How do you grow your customer base for that product or service? Knowing your core business strengths allows your organization to maximize on existing opportunities where your company is already excellent. Third, try new and different things. After you have identified the core products and/or services of your business, look for new, out-of-the-box opportunities. Outside and uncontrollable distractions often cause us to pull in the reins and focus on what we have always done. Use these changing times to your benefit. Challenge yourself and your employees to look at every process, product line, service, and customer for new opportunities. You will be surprised what your team may find and suggest. At first pass an idea might seem outrageous, but outrageous could mean the difference between status quo and a new level of success. The last thought to consider is leveraging your uniqueness. The business marketplace is becoming a sea of similarity. Your brand should communicate the value you bring to your customer – from the eyes of the customer. Your brand is not really about what you think you do. The brand you should be leveraging is what value your customers say you bring to the table. Find out what your customers really think and start spreading that unique message. If you did not like the results you generated in 2011, you have two choices. You can continue on your current path and hope for different results, or you can set your objectives, maximize your strengths, honestly look for new opportunities, and incessantly market your brand with a voice that is meaningful to your customer. Hope is never a successful strategy, but focused action is … what will make 2012 a successful year for your company? Hope is never a successful strategy! 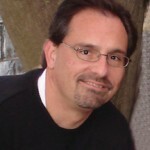 Michael J. Cronin founded ResTech Solutions, LLC in 2002 after 15 years in the corporate world. He has hands-on experience in a number of functional areas and has worked with both domestic and international organizations. ResTech Solutions prides itself on the development of practical, cost-effective programs for its clients. For more information or to schedule a complimentary consultation, please contact Michael at (484) 883-2707 or mjcronin@restechsolutions.com. Next Story → Delaware Workers’ Compensation Benefits – Show me the money!